After my certification hearing, I went home and hugged my wife and son and told them that I was back. For years I have questioned why this happened to me and why did it get to the point it did. I actually slept through the night after my hearing because I was so relieved and confident that the ruling was going to be in my favor. For years I would not sleep longer than four hours and would pace the floor questioning why this happened and how was it going to end. I know in my heart that I had the best attorney anyone could ever have to represent me in this matter. Mr. McGuinness and his staff, J.P. and Zilla, were always honest with me and never let me believe anything other than the truth. When I received the call from J.P and he told me the outcome of the hearing, a huge weight was lifted off of me and I felt like I was a person again. I will never be able to say in words how appreciative I am. Thank you all for everything, and I will never be able to say that enough. PBA is the greatest organization out there when it comes to supporting law enforcement. Thank You! 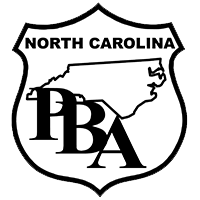 Editor’s note: PBA provided representation for Derrick Knox through attorney J. Michael McGuinness as Knox endured a five-year battle to retain his law enforcement certification.